This really is just a list of the power tools that we use the most often in the course of maintaining our little 12 acre farm, vineyard and household. If you own a smaller lot, you might not need all the tools I talk about or if they aren’t going to be used much you might look at cheaper lower powered options. 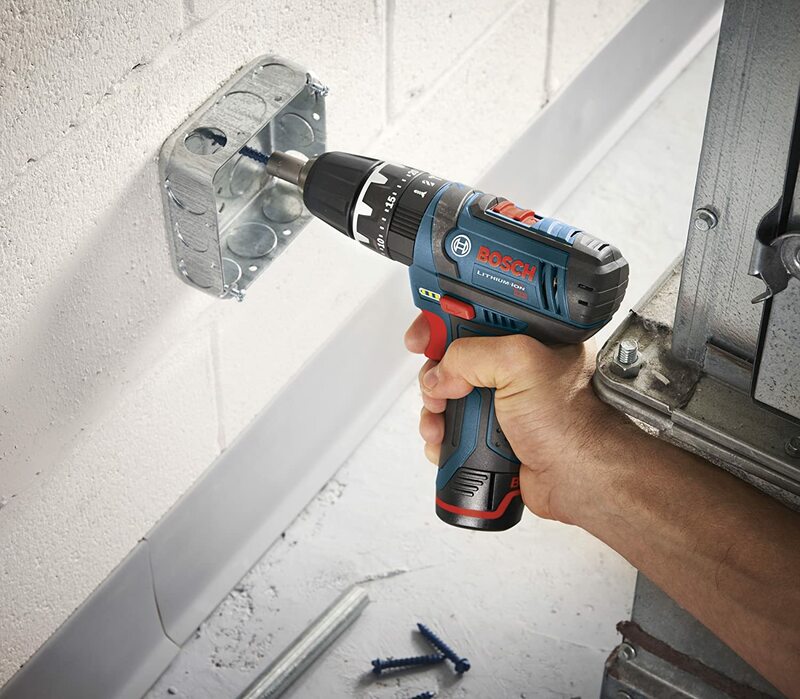 3 The cordless drill is a must have around any home or farm! Renting hand and power tools is usually not the best idea unless you are sure you only need it for a day and never again in the foreseeable future. We rented scaffolding once and got delayed and realized that even that is something you should just buy. 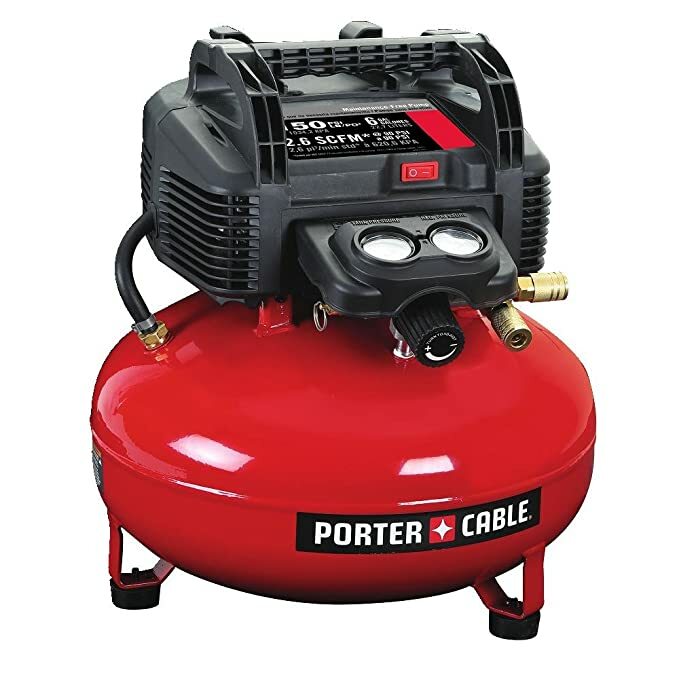 Tools like air compressors cost at least $40 per day to rent but you can get a perfectly good pancake style air compressor for $120 or less and it is very versatile. Nail guns are another example of tools you are better off buying than renting. A few days or week rental is the cost of the tool. You can always sell it later and get back some money if you really don’t want it. The cordless drill is a must have around any home or farm! The cordless drill is one of the most often used tools on our farm. In fact, they are important enough that we have ended up with 3 of them. Screws seem to hold everything together these days and turning them by hand is way too slow. The same battery that powers a drill can be used in a bunch of other tools like saws, flashlights, string trimmers, and leaf blowers. Some of these tools like the flashlights are nice to have. The battery-powered saws will work ok for small jobs but lack the power of the larger plug-in saws. Other tools like the cordless 20-volt string trimmer are nearly useless. Buying a good brand of cordless drill is important. We have a little Bosch drill that is 12 years old. First, it went to Kenya and back with my brother-in-law when he was in the Peace Corps, then he gave it to Matt when he got home and he used in for drilling pilot holes on job sites so he didn’t have to switch out bits in the big drill all the time. In the decade we have owned the little Bosch we have worn out or broken 2 Hitachi drills and a Black & Decker. The Dremel is a great little rotary tool to have around for small jobs and detail work. Sanding polishing, engraving, gunsmithing, sharpening, and more can all be done with an inexpensive Dremel tool. Air tools can make things a lot easier and they all require an air compressor. We bought an air compressor kit that came with 3 different air tools including a finish nailer, brad stapler, and a stapler. This gives you a lot of tools for your money. Big air tools can be bought separately as needed. We found that it was necessary to add a framing nailer to our air tool kit later on. With the right air hose attachment, you can use your compressor to inflate tires instead of paying a $1.00 every time you need air at a gas station. Plus, if you have some types of mowers, wheelbarrows, and other wheeled devices, there is going to be a time when you need to inflate the tires. When the cordless drill is just too small we have a big 110 volt Bosch hammer drill. I originally bought the big bosh for drilling holes in oak logs for inoculating shiitake mushrooms. But it is also useful for other jobs like drilling into concrete, large diameter holes or stirring drywall mix. Our big 360 Stihl chain saw is loud, smelly and dangerous, but there is no faster way to bring in a winter’s worth of firewood or clear a downed tree from the road. For most cases, the Stihl 360 is a bit much. The Stihl 280 is plenty big enough for even larger jobs for most people. The larger the saw and the longer the length of the bar, the more it will cost. Big saws weigh more too so you get tired and worn out faster when using it. Buy a professional grade saw but don’t get the biggest just because it looks cool or you think bigger is better. The right size is better! If you have more than a tiny patch of grass for a yard odds are you own a mower. There are many types of mowers out there. Some people find they need more than one type to take care of things. We have a push mower and a steep slope mower for example. Some folks can get away with just a small mower and then a weedeater to get the edges and details around their place. Always buy a good weedeater. This is not something you want to get cheap with because it will cause a lot of frustration down the road when you are trying to get stuff done. While some are happy with electric weedeaters, they lack the power to do much more than cut grass. We use Stihl weedeaters and have found that they last pretty much forever. The engine is simple and is repairable it something happens. The shaft stays true and doesn’t warp or fall apart even if you use it a lot. There is a reason why you see road crews and professionals using Stihl so often. Why spend money hiring people to pressure wash things for you? While it is a bit of work, you can buy a good little pressure washer for far less than hiring someone for a single job. While I would not recommend getting the cheapest washer you can find, you also don’t need a hugely expensive one to do everything you need to do. A pressure washer can reduce how long it takes you to remove a lot of grime, grease, and dirt. Just be careful what you pressure wash and how close you hold the stream to something. You can cause a lot of damage to some things. Pressure washers can cause severe damage and injury to the skin so this is not something suitable for kids to use. Leave them to controlling the garden hose. I did a post on saws awhile back and found a lot of really neat pole saw combos. There are some that detach so you have a 10″ electric chain saw for limbing and other tasks. This is a helpful tool for pruning trees and brush near roadways and fruit trees that need to be cut back. Brush cutters are good for small woody things near the ground that a standard weedeater won’t get so well. A circular saw will take care of a lot of the cuts you need to do for basic projects and repairs. 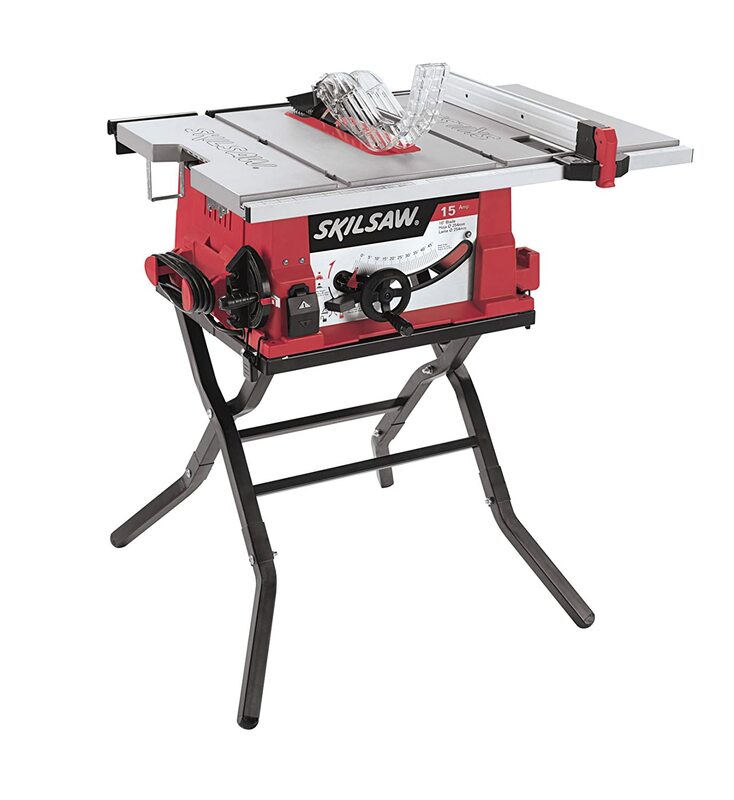 This is one of the first specialty saws a lot of people buy when they start doing a lot of work around a place. For precision cutting, they are not the best. Some people can take a circular saw and be very precise but beginners are probably not going to do that. Some cuts will also take longer to do if you use a basic circular saw instead of one of the more specialized ones. Saws have laser pointers on the end to help you cut straight. When we were building the house, the miter saw was something we used daily. I had little experience with any type of saw use, but Matt showed me how to do cuts with the miter saw which was good because with just the two of us building; it was important to know so I could cut boards to length for him and speed things along. We had a Hitachi for years and built a lot of things with it but it eventually fell and broke. While a fancy brand is nice, I want to point out that the Hitachi was on the lower end of the price range and it lasted well after we had a house to live in. A lot of people will never need a table saw. These are used for cutting boards into very precise widths. For example, if you want to cut a board that measures 6″ in width in half so that you have two boards that are around 3″ wide. For the finish work and some furniture in our house, it was exactly what Matt needed. He made some beautiful tables, desks, and storage crates for us. The table saw allowed us to use some odd width cherry lumber we were given by a neighbor. A jigsaw allows you a lot of maneuverability. For cutting out precise or small things, the jigsaw is what you need. A reciprocating saw is good for when you need a lot of power to cut through some tough stuff. For example, you can get a demolition blade for the saw that will cut through nails, screws, and multiple layers of boards. This can be useful if you have to remodel a space or if you mess up building something and need to fix it. A tiller is extremely useful even if you live on a smaller piece of property. Remember that tillers exist in many sizes. Don’t feel that you have to buy the big boy. In fact, larger tillers are actually less useful for some people that want to be able to till in narrow or small spaces. Don’t get me wrong, a big tiller is nice because it can do a lot of work but you should use some common sense when deciding what to buy. The larger the tiller, the more money it will cost and the heavier it will be. Some people find that they like having a wide and narrow tiller on hand. The power auger is an expensive specialty tool but I am including it on this list because it is one of the few hole digging options available to people that don’t have a large tractor or face issues with their property being too steep for a tractor. When Matt and I started planting grapes, we did it the old-fashioned way, using post hole diggers. Grapes are planted 18 inches deep. Now think about doing that for hundreds of holes! After doing it this way for 400 grapes we decided to get some help, so we bought a $300 power auger from Lowes and paid for the extended warranty. It weighed over 40 lbs and was about all I could do to run it. Well, it lasted 300 holes and stopped working. We got our money back and bought a Stihl auger. Yes, it was around $900 with the 6-inch auger bit but it weighs half as much, digs holes faster, and after digging 1200 grape holes and countless fence posts, it is still running like a champ. If you want an auger, save your money up and get a Stihl, you won’t regret it. I wish we had bought the Stihl auger years before we did because we dug a lot of fence post holes by hand and it would have saved us a lot of time. Being able to see is essential for safety and precision. You don’t have to have a ton of lights but a few strong ones and a few that can be used to spotlight small tasks are handy. A good flashlight is useful as a small spotlight for example. 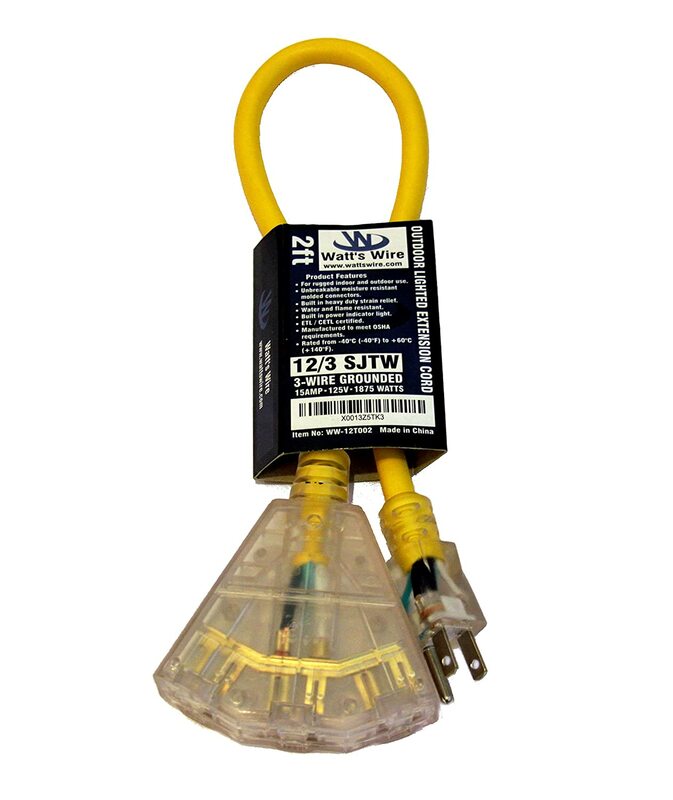 Power tools require cords that can deliver the amps they need to perform well. For example, if you try to run a 13 amp circular saw on a cord rated to 10 amps, it will not perform well and you may even damage the tool. Just because it is running doesn’t mean it is ok. Sometimes running too many amps on a cord will just mean that the electrical breaker pops when you use the saw at full power. Check the amps on all your tools and make sure to buy cords rated appropriately. Tools are not cheap and neither are heavy duty extension cords, but both will last a long time with some care. Heavy duty extension cords may mean that you can run multiple tools at once. Add up your amps used and compare it to the cord. Remember that the combined amps of two or more tools can be greater than the cord is rated to but you need to limit how many amps you use at once. You can have 3 tools rated to 10 amps each plugged into a splitter attached to a 13 amp extension cord but you will only be able to use one tool at a time. The splitter saves a lot of plugging and unplugging. A small power center allows you to keep cordless tools charged even during a long emergency if used in conjunction with a solar panel. Of course, you can buy larger power centers that provide a lot of backup power but a small one will still offer you a lot. Remember that the bigger the power center the heavier it is and the harder to transport. Lithium battery based units weigh far less than lead-acid battery based units. We have a Goal Zero 400 that is lead acid and a smaller Jackery Explorer 240 that is lithium and very lightweight. The price difference between one battery style and the other is not as great as it once was. The Goal Zero is great and has a lot of power but I would not want to have to carry it for any distance. The Jackery weighs around 6 lbs, making it a go-to for having a little extra power when needed. Below are links to the reviews I wrote of the power centers we use around our place! In conclusion, I want to remind readers that some companies have professional series tools and homeowner grade tools. For example ,if you buy a Husqvarna chainsaw at Lowes Home Improvement it is not the same as a saw that you will get at a dealer. If you are buying a tool that you plan on using a lot, I highly recommend getting the professional grade version. For example, the Stihl 280 is the entry-level professional saw and designed for people that plan on cutting a lot of firewood over the years and maybe clearing some property. This is not to say that all homeowner grade tools are not worth investing in. The difference is that they are not designed for every day or heavy use. What brands of tools do you like or dislike? Is there a tool that I did not include that is extremely useful to you? Please share in the comments below! Please don’t forget to wear chainsaw chaps, eye and ear protection. Most chainsaw accidents are cuts below the waist and the result of cutting into the femoral artery is likely death unless you have access to immediate medical care. Chaps are only $50-75 but they can save your life or a limb. It would be even more foolish during a SHTF scenario to risk life or limb when there is a proven safe option. as far as cordless power tools go the only brand i would recommend these days is Milwaukee. They are powerful, reliable and tough and one of the most popular brands amongst tradies these days for those reasons. after buying cheaper (Ryobi or other) split-shaft weedeaters for too many years and having to replace a carb or entire unit I finally went with a Stilh at about $230-240 vs $99. Yes, I have to use premium gas/oil or their premix but it starts easy, was easy to set balance (I can even use with only one hand), has power, and even though heavy my arms and shoulders don’t hurt as much. The model I got is their easy-start and only takes usually 2-3 pulls to be running. The ryobis seemed to require a new carb every other year (at $50 to 100 depending on carb manufacturer) and you can’t buy a a new diaphram or carb overhaul kit, at least not readily. The main thing I miss is not being able to use the small tiller or other accessories I have for my Ryobi so I guess I may replace one more carb. I also switched to Stihl chainsaws years ago and a couple years ago bought a new 180-CBE which also is easy start. This is important as I am 77 years old and the last couple years that made a lot od difference. Now to see if I can start them this season! I also switched to cordless drill and other cordless tools years ago, so I echo usefulness. Great with a spade bit to drill holes in stumps way out in yard, or sawsall to cut metal or change to pruning blade for small trees or branches. Appreciate this site and your work. Three power tools you left off your list that I think are very important for many homesteads are an angle grinder, a bench grinder, and an impact wrench. An angle grinder allows you to easily cut off the occasional rusted bolt or lock that won’t yield to other persuasions. A bench grinder allows you to readily sharpen and/or polish knives, mower blades, and other cutting tools. Finally, the impact wrench comes in real handy when changing out tires on vehicles, as well as dealing with rusty nuts and bolts.